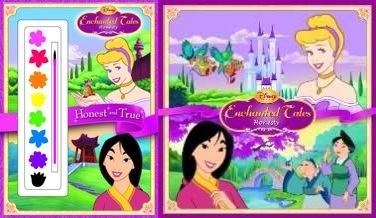 Cinderella and Mulan. . Wallpaper and background images in the Disney Princess Mulan club tagged: disney mulan princess cinderella. This Disney Princess Mulan photo contains sleuf, eenarmige bandiet, slot, een gewapende bandit, gokautomaat, muntautomaat, slotmachine, munt machine, glas in lood raam, and glasraam. There might also be bedrijf mobiele, holding cell, and bedrijf cel.